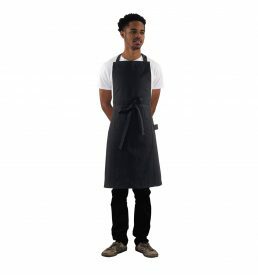 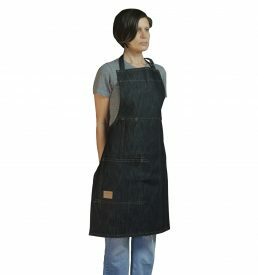 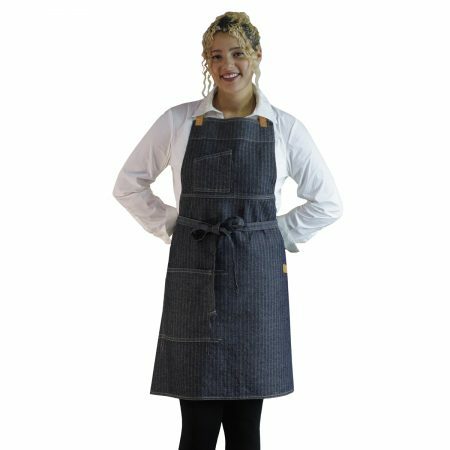 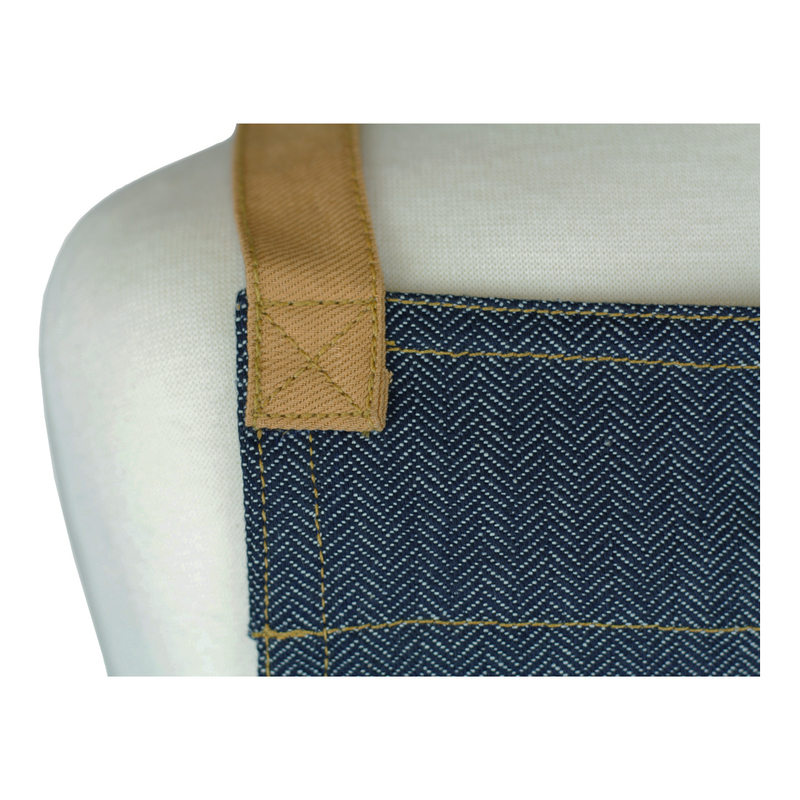 This unisex apron is made from 100% cotton with a selvage-edge for both an industrial look, and as a practical measure against unraveling. 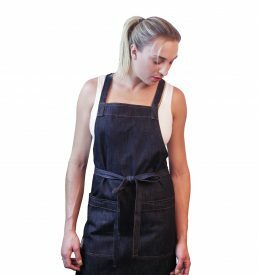 Featuring a wide chest pocket, and a roomy patch pocket that sits below the waist, the apron is both functional and attractive. 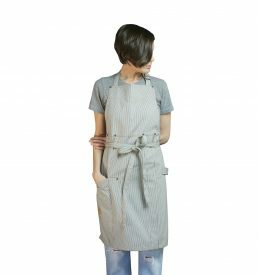 The full-coverage protects clothes from spills and stains, while contrast stitching, ties and towel loop elevate the style.